Doodle Pants is an adorable children's clothing store specializing in "doodle pants". These stretchy, soft leggings allow your busy wiggle-worm freedom of movement, while keeping warm and adorably clothed. Sizes range from 3 - 24 months. Doodle Pants is now offering hoodies and shirts! These super cute pieces complement the existing pants and will have you bringing out the camera to capture your little "Monster". Renae from Mostly Together Mommy reviewed a Monster set; you can read her full review here. One lucky winner will take home a pair of monster leggings and monster hoodie of their own! (Boy or girl options available) To enter, simply use the Rafflecopter form below. This giveaway will end on April 4, 2014, at 11:59 CST. 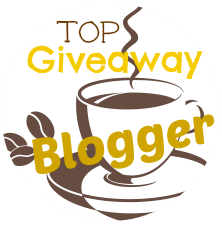 *This blog has not been compensated to promote this giveaway. The sponsor is responsible for prize fulfillment. This giveaway is not affiliated with Facebook, Twitter or Pinterest. I love the anchor ones. i really love the blue fox pants with the orange. so cute. I love the Fox pants and shirt. Too cute. All of them are just adorable. But I would like to see my daughter in all of these (on different occasions): Giraffe, Elephant, I Love Mustache Pink, Piggy, Pink Monster, Pink Monster Hoodie, Pink Monster Shirt & Teal Elephant. Love the "I heart Dad" doddle pants; so cute for father's day. I would love to have the Bunny for my grandbaby. That would be so cute for her. I love the blue monster hoodie! I love the Blue Fox pants. I like the elephant leggings and the flying guitar leggings. I love the Blue Rainbow leggings!! Soo cute! I really like the fox shirt! I love the Strawberry hoodie!! I like the "I Love Mom" bodysuit. I like the Butterfly Shirt. I like the blue fox pants!